Add crab meat and shrimp and let simmer til shrimp are done. 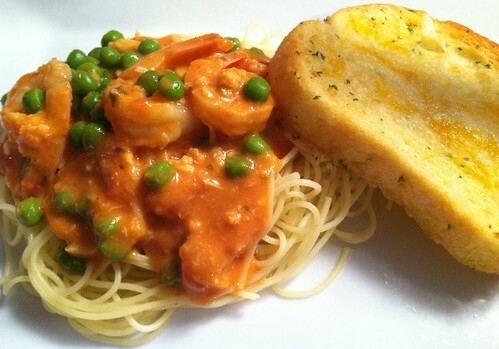 I served it over angel hair pasta with garlic cheese toast. This meal took about 20 mins. from start to finish. I love cooking too. I am now following you from the blog hop.